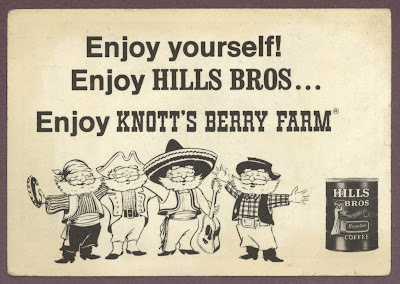 It’s time for a Vintage Knott’s Berry Farm Ticket. This little ticket was good for one child admission, accompanied by a “paid adult”. 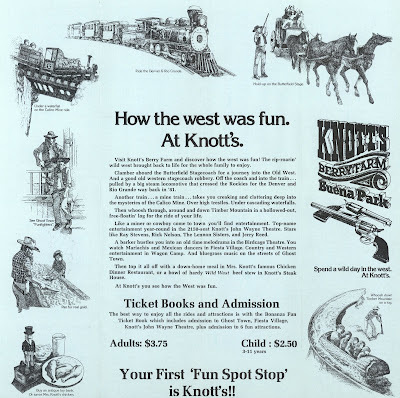 Knott’s started charging admission in 1968. This ticket is naturally undated. 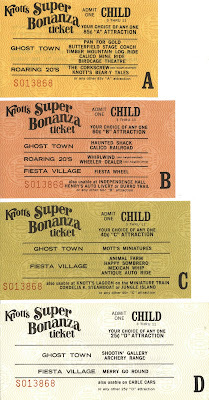 In 1969 it was 25¢ for a child admission, the 75¢ “value” on this ticket would place it from the early to mid 1970’s. 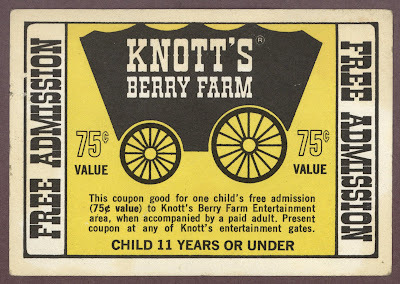 Although this ticket has no expiration date, I bet Knott’s would only give you 75¢ off, not an actual child admission (a $23.99 "value") . Looks like Hills Bros. Coffee must have sponsored this little ticket, I wonder if it came in a can of coffee? CHECK OUT WHITTLES! I’ve never seen him wear other costumes, or are those his brothers? Whittles was pretty much gone by mid 1976 so these must be from before then. 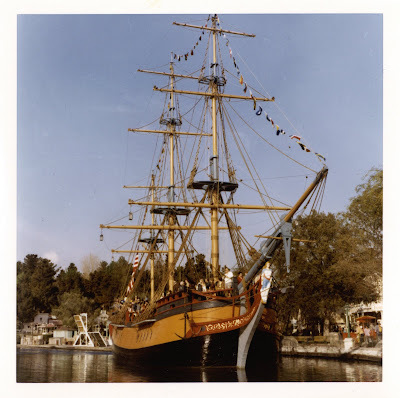 Here’s a few vintage Knott’s Photo’s. Also undated, but much older than the Hills Bros. ticket. These black & white prints are tiny (just 2” by 3”) and on curled-up paper. I’m guessing by the views that they are “souvenir” photos; you’d think they could be a little larger! 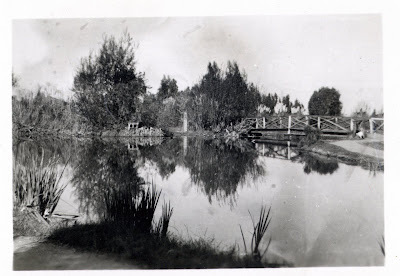 Neat Lake-Island-Bridge shot. Is that the backside of a chicken on the right side of the bridge? Hey what do you know, it really was a farm! 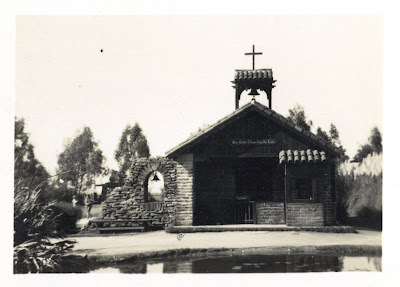 Our little Chapel by the Lake looking great. 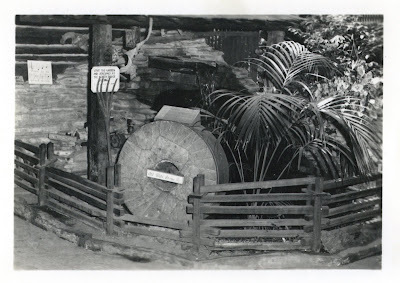 The Old Mill Stone looked like log until I scanned the photo and saw what it was! It’s Disneyland Today! From February 24 & 25, 1996. Who can forget the amazing Toy Story Funhouse (link). All of a sudden fourteen years ago seems like a long time. Captain EO was still open but the map only shows the “Magic Eye Theater”? Maybe they knew he was going to leave soon, I bet they didn’t think he would come back fourteen years later! 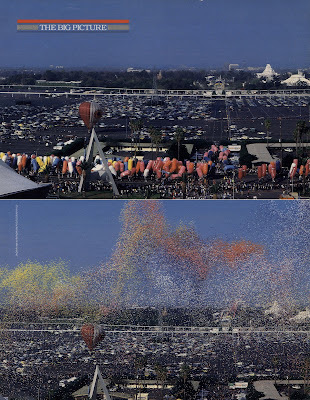 What was “film” and how did it work? No time for text; I'm in line for the grand reopening of Captain EO!! There's about 300 people joining me! Welcome to Magazine Monday. Yes Magazine Monday still lives, sort of. We've pretty much reached the bottom of the stack, to the sub-obscure section. Since were getting at the “not to exciting” issues, you get two for one today. Up first, from February 1986 if LIFE Magazine. LIFE was still a large format magazine in 1986, not the HUGE size it used to be, but still large at 10” by 13”. Bathing Beauties, what is this Sport Illustrated? 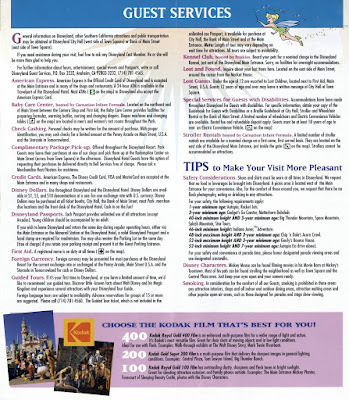 The Disneyland article is short and sweet at just two pages. I tried to paste the two pages together but Photoshop kept corrupting the whole mess so I gave up. 8,000 pounds of latex, what would the Green Police say about that today? 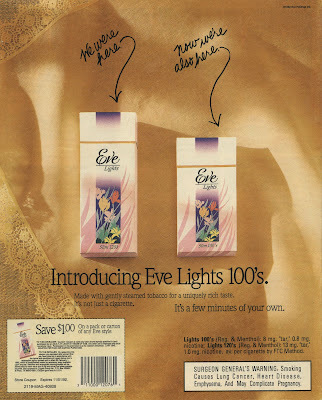 How about a few 1980’s vintage advertisements? 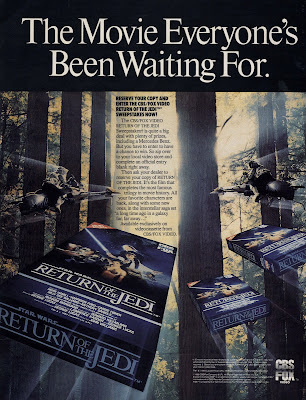 It’s the Movie everyone’s been waiting to pay $89 for a fuzzy VHS tape. It's in my collection of VHS tapes. 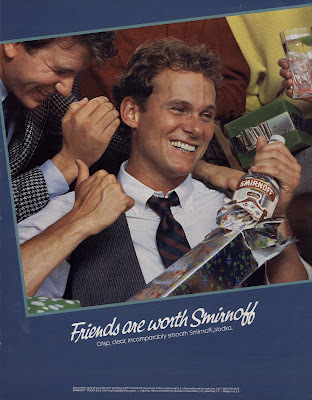 This issue is full of cigarette and alcohol ads, who ran this magazine the Carrington’s? What’s with that weak Surgeon General’s warning? How about WARNING: “Smoke and Die”. 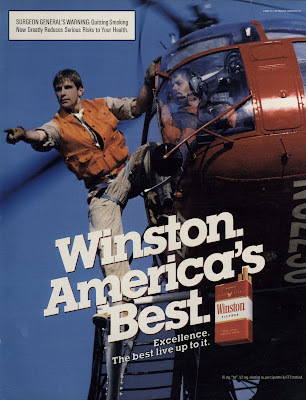 And how about not even thinking of smoking near aviation fuel? The guy on the left thinks something is really funny - he knows lamp shades will be involved later. The cast from the famous soap “Santa Barbara” are Day Tripping at Disneyland in this silly two page spread. Please visit my Trip Report blog for a new report from Thursday February 18, 2010. 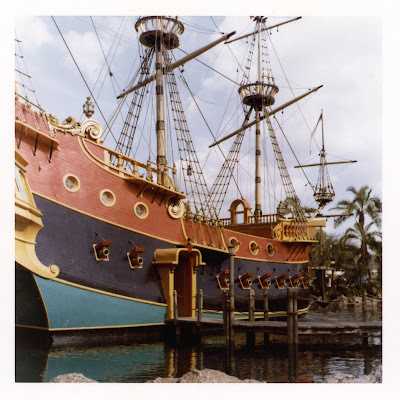 Today’s we’ve got two ships from February 1974. 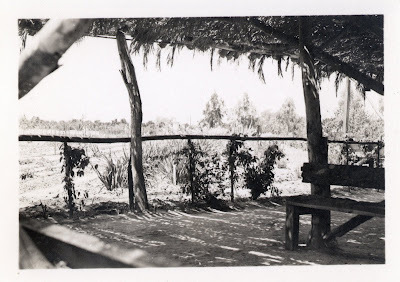 I’ve also got the negatives for both of these photos and they are big, what format was this size (link)? Anyway, I bet they would make nice enlargements; these prints are just 3” by 3”. The Tuna Boat looks like she could maybe use a coat of paint. 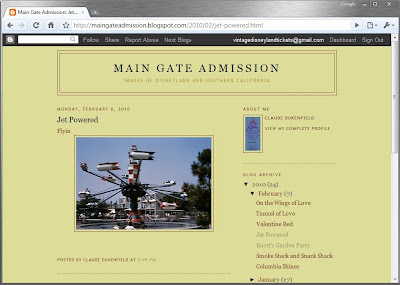 Way back in January 2008 I posted the weird ticket shown below (link). At the time I didn’t have any other information about the “Fun Bus” but have since found a little fold up brochure. 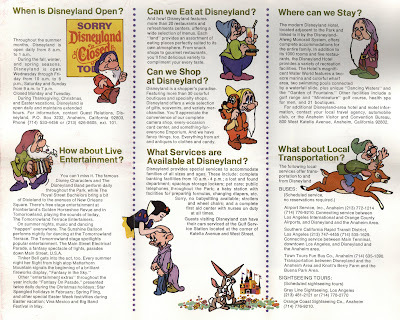 The Fun Bus was sort of an early version of the ART (Anaheim Resort Transit). The “ART” doesn’t appear to go to Knott’s or Japanese Village, curse them! I bet they don't go to Movieland Was Museum either! 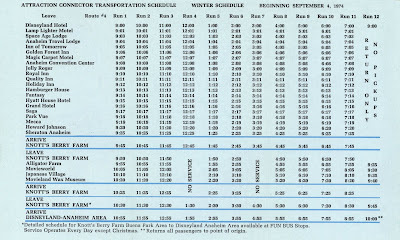 The time table for you time travelers who want to ride the Fun Bus, and who doesn’t? Hey, the Space Age Lodge is on the list!!!! When you unfold the whole brochure you get this super Knott’s promotion. 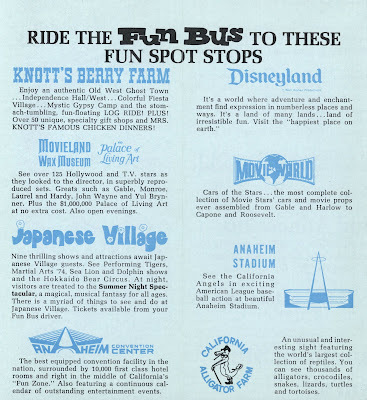 Did Knott’s own the Fun Bus? This ticket book is dated May 1975. 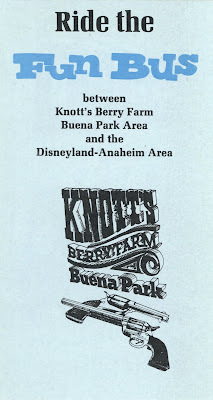 It does match the brochure above as far as price, but Knott’s didn’t seem to raise their prices as regularly as Disneyland did so the brochure could be from 1974. This ticket book is an oddity. 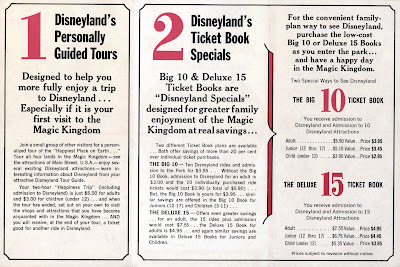 The Main Gate admission ticket and the back panel are from the 1970-74 type of ticket books, which only had “A” – Gold Nugget and “B” Silver Dollar tickets (link). 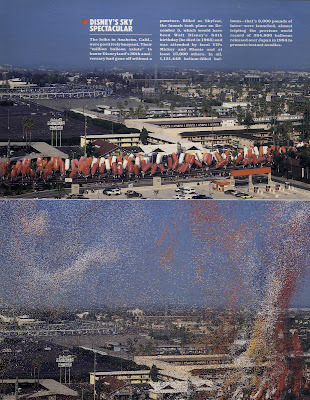 This May 1975 ticket book has the new ABCD tickets that closely resemble the Disneyland tickets in style and size. These are some of my favorite Knott’s tickets. They are crisp and new as the day they were printed (they’re from an unused book - "snapping" them from the book felt great). These neat colors are pretty much unique to the Knott’s Child tickets, especially the mustard? "C" ticket. 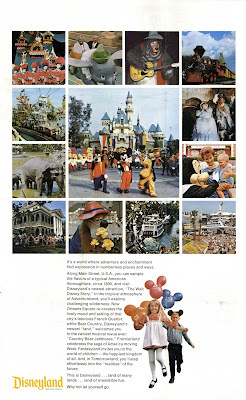 From October 1973 here’s a fun Disneyland pamphlet “Your Guide to the Happiest Place on Earth”. This is similar to a April 1977 pamphlet from a previous post (link). In the 1977 Guide the photos and the format looked “older”, I’d say some of it originated with this 1973 guide. Apparently “Monday” was of some significance to someone. The “ABC’s” of ticket books. I see the Pack Mules thru Nature’s Wonderland is on the “E” ticket list – The mules had probably just closed for good when this was printed. “Sorry Disneyland is Closed” What? The disappointment from kids pulling up to a “closed” Disneyland must have been brutal. 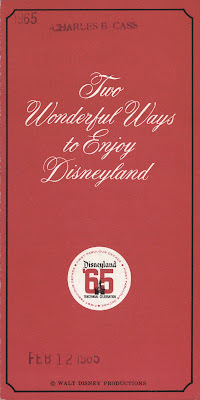 The guide opens up to this mini poster, lots of cool photos and some classic Mickey Balloons! 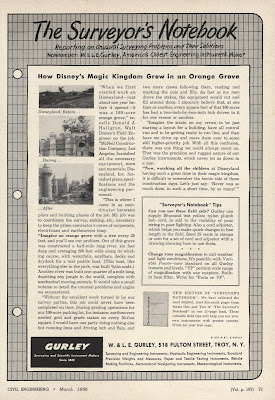 Loyal blog readers with great memories will recall I've posted a guide very similar to this one two years ago (link) The guide one from the 2008 post is from June 1973 and compares it to a 1968 guide. It's been too long since we've had a Magic Mountain post, gotta pay some attention to Disneyland's Stepsister to the north. 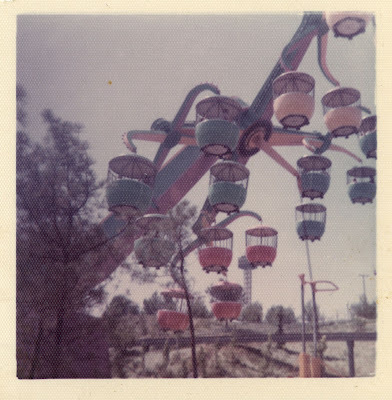 In 1976 when the Revolution premiered at Magic Mountain all my friends couldn't wait to ride it while I was honestly scared to death of the darn thing. After being peer-pressured into riding it I was glad I did, although it still gives me goose bumps on that long drop as you head into the loop. 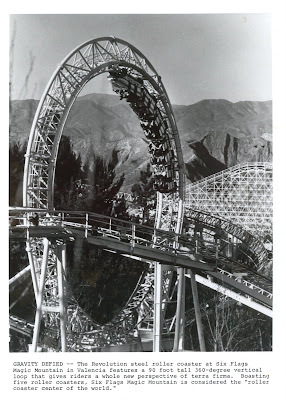 Wow, five roller coasters and Magic Mountain was considered the "Roller Coaster Center of the World". 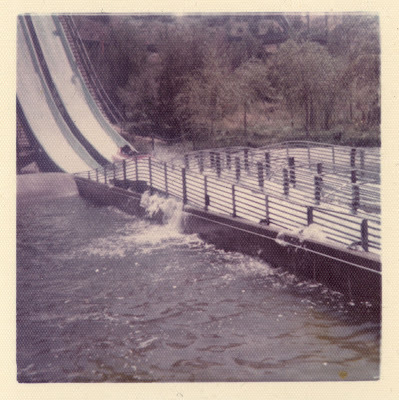 Here's a few "Silk Finish" snaps shots of Magic Mountain from its first few years. These are tiny prints at 2" by 2" and the silk finish makes then really weird if you zoom in, does anyone know how to remove that? The "Galaxy" was a one time event for me - just look at thing, its like a monster and you're only seeing half of it! Even though the colors may be a little "off" in this photo, I do recall it had a weird paint job. The "Jet Stream" is one of my favorites. This photo shows the left side drop in use. The left side has been closed for years, I wonder why. 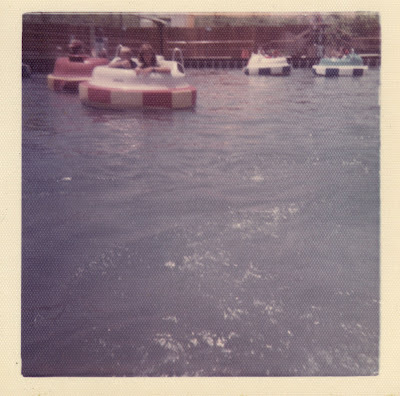 This poorly composed photo sure gives you an idea of how murky the water was on "El Bumpo". That water had a "unique" smell when it got hot outside, it was "two-stoke exhaust enriched". 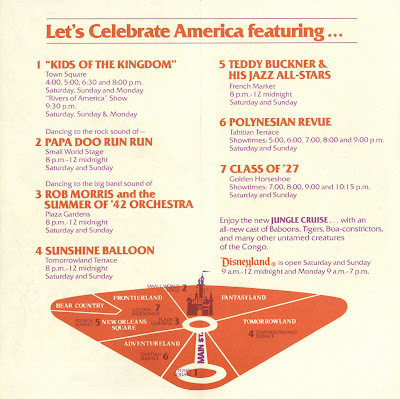 “Let’s Celebrate America” with a Polynesian Revue. Enjoy the new Jungle Cruise? How many times has the Jungle Cruise been “new”? Wow, even back in February 1977 they accurately predicted the opening date of Space Mountain. A note on the little codes at the bottom right; 2/19-21/77 are the dates, and the “38M” I always assumed was the print count, 38,000 in this case. But is 38,000 enough flyers for three days? It was winter, but a weekend and a holiday? Maybe that’s not what the “38M” means? 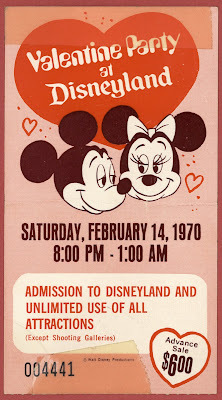 Don't Mickey and Minnie look cute on this Saturday, February 14, 1970 ticket to the Valentine Party at Disneyland? 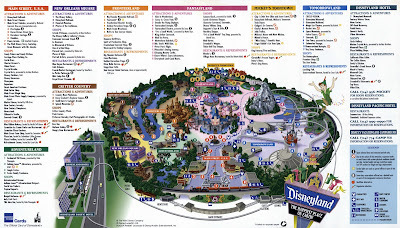 $6 got you admission to Disneyland and unlimited use of all attractions except shooting galleries. The above panel is actually the back panel to this parking lot flyer from February 12, 1965. The “Tencennial” logo is timeless. Who is Charles B. Cass? Maybe he's on Facebook! (1) For a personally guided tour, how about a two-hour “Happiness Trip”, Timothy Leary not included. (2) Don’t bother with the “Big 10” book, go for the “Deluxe 15” if offers “greater savings’. That‘s sure a simple winter schedule. 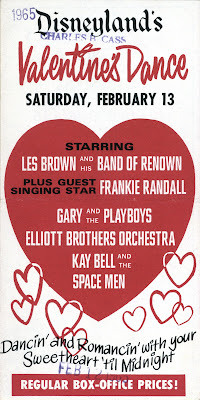 “Nite of Joy” at Disneyland - February 3, 1978.